We last chatted to Deen Castronovo last September when he appeared to be a person who was emerging out of a personal dark period and he talked positively about the release of the then new release by Revolution Saints. He did share, however, that he admitted to mostly missing playing live and touring around the world – which he had spent most of his life previously doing. 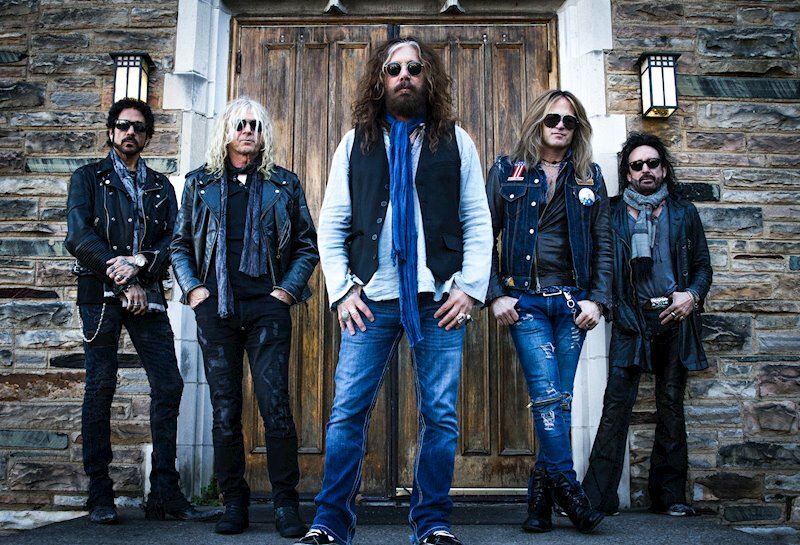 Fast forward a few months he is the latest band member in The Dead Daisies a rock royalty collective who are currently riding a huge wave of increasing popularity. 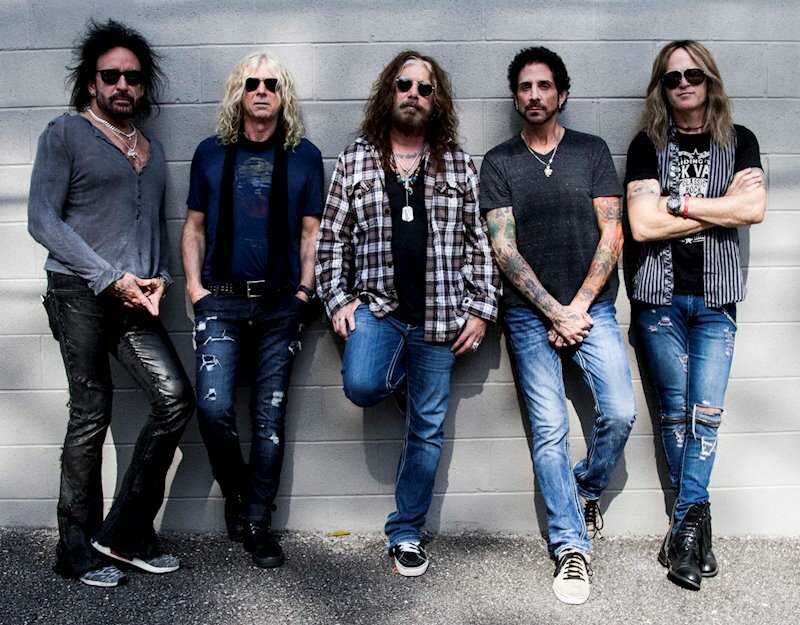 We caught up with the legendary drummer for a face-face chat ahead of The Dead Daisies Manchester show on their sold-out UK leg of the Burn It Down tour. Deen Castronovo: Yes, sir. Oh, it’s amazing. ANTIHERO: And back on the road. Deen Castronovo: I love it. That was the missing piece. It’s one thing to record. It’s another thing to get out on the road and tour. We wanted to tour with Revolution Saints, which I was too busy. So, I was just floundering, like, “What am I gonna do?” And then Doug called me and asked if I would do this, and I’m like, “My god, yes. I’d be honored, man. Are you kidding me?” So, it worked out really good. I mean, really, I’m very happy here. ANTIHERO: It’s where you want to be. It’s where you needed to be, isn’t it, really? Deen Castronovo: Yeah. I’m a hard rock drummer. I mean I love playing with Journey. It was great. But, you know, I bash. I play hard. As much as I tried to fit into that mold, I’m always going to be me. And I don’t think it really fit with that. And it fits with this band. So, pretty cool. Deen Castronovo: Oh, dude, it was hard for me. Deen Castronovo: Yeah. I needed to though. It was good for me to just kind of clear out, get my priorities settled and straightened out. And, yeah, it’s great to be back, though. ANTIHERO: And what about the album itself, were all those songs already done before you joined? Deen Castronovo: Well, no. They actually flew me out during the writing process, so I kind of heard what they were coming up with. ANTIHERO: You were in there then at the grassroots and creation process? Deen Castronovo: Yeah, and then once they finished, they sent me the songs that they were going to record, to just study them up. And I listened to them day and night for three days straight. I mean all day long, all night. I really wanted to get a feel for what they wanted. And then I flew down on a Friday. I had seen them on a Tuesday, left them on a Tuesday. By Friday, I was in Nashville recording. ANTIHERO: I saw the videos and it looked that you were having a genuinely good time. Deen Castronovo: Oh, dude, it’s always a blast. Just to be behind the kit again, and to play music that I enjoy was really cool. ANTIHERO: Certainly, a bit different from drumming on your own. Deen Castronovo: Yes, definitely. That gets a little boring. ANTIHERO: I listened back to our chat last time to the recent Revolution Saints album. A couple of the tracks stood out in the light of our conversation. They did seem particularly poignant from what you said to me. “Light in the Dark” and “I Wouldn’t Change a Thing.” Want to maybe talk about those? Obviously, you had a personal connection to those two particular ones. Deen Castronovo: “Light in the Dark” is kind of autobiographical, you know? The whole record is very autobiographical. I kind of had to spill out. Me and Alessandro both spilled the lyrics out. And I said, “This is what I’m going through. This is what I’m talking about here.” And he and I structured the lyrics together. ANTIHERO: There’s a lot of you in that. Deen Castronovo: Oh, yeah. A lot. A lot in the whole record. It was really he and I went through it, but I wouldn’t say it was, “I wouldn’t put this here.” That type of thing. ANTIHERO: And “I Wouldn’t Change a Thing,” of course you did vocals in that. Deen Castronovo: Yeah, yeah. That was a Richard Paige song. ANTIHERO: And again, it seemed relevant and appropriate, and a personal connection with that. Deen Castronovo: Very much so. It was heavy duty all the way. ANTIHERO: How’s it been going on the road? I mean, you’ve done a couple of UK dates. Have you done dates before that in other countries? Deen Castronovo: I haven’t done a solid tour since 2015. Deen Castronovo: So, you know, I’ve done one-offs here and there, but nothing like a solid “on your mark, get set, go” tour. ANTIHERO: It’s probably too early to say how you’re going personally then? Deen Castronovo: Yeah, you know, listen, I’m having a blast. And that’s the important thing. And I think the fans, they’ve been really receptive. And that’s huge. As long as I’m doing well, and the crowd likes what I’m doing, and I fit with this band, we’re good. Because, you know, Brian Tichy’s a monster. Hard, big shoes to fill. ANTIHERO: You’ve got that caliber. Deen Castronovo: You know, but I try to stay true to his parts on the stuff he recorded because they’re perfect. And I’ve always admired his playing. He’s a monster player. ANTIHERO: What about mentally? You’ve got a long tour. Is it going to be difficult getting through? You’ve got, obviously, different temptations of the road. Deen Castronovo: You know, for me, I got Marco, who’s another brother in sobriety. That’s a huge thing for me. ANTIHERO: A kindred spirit then? Deen Castronovo: I used to have my wife and my kids out with Journey. We would travel everywhere. So, I don’t have them here, so I get a little homesick. It’s a little tough, but I have a mission. I’m on a mission. ANTIHERO: So, you keep each other strong? Deen Castronovo: Yes. He definitely does. He’s got thirty years of sobriety behind him, and I’m coming up on three. ANTIHERO: He’s a nice guy. I’ve met him before a few times. Deen Castronovo: I’ve worked with him before and I love him to death. He’s a brother. ANTIHERO: I expect that it helps when you’re not joining a completely new band with people that you don’t know. Deen Castronovo: Yeah, the only ones I didn’t know were David and John, so it worked out really well. ANTIHERO: That difficult period that you went through, did you lose people along the way? I expect that you did? Deen Castronovo: Oh yeah, you find out who your friends really are. You know that’s kind of cliché, but you really do. Especially in my situation because everybody abandoned me. It was like, oh, he’s done, it’s over for him, and by the grace of God I was able to come back. ANTIHERO: People are so quick to condemn, aren’t they? They don’t tend to see or even say that “it could be me”. Deen Castronovo: Yeah, and what I went through with my wife and me…things are fantastic now. I’m sober. ANTIHERO: That’s fantastic and your positivity is certainly shining through in both the conversations that we have had to date. Deen Castronovo: You put drugs in me, I’m an animal. You don’t want to put drugs in me. But, she knew me when I was clean. She knew me when I had long-term sobriety, so we grew up together. Yeah, that’s true love. I owe her a lot. She saved my life. ANTIHERO: Is there anything about you that might surprise people? Deen Castronovo: Well, let me think. ANTIHERO: Do you have any hidden talents? Deen Castronovo: Well, I’m a huge metalhead, number one. ANTIHERO: That is quite surprising. Deen Castronovo: Oh, God. Slipknot, Machine Head, Fear Factory. That’s what I grew up listening to. I love that stuff, but I also love James Taylor and John Mayer. I like really mellow stuff, too. I just picked up The Best of Bread, believe it or not. ANTIHERO: Is that the one with the plain brown cover? Deen Castronovo: Yeah, yeah, I love that stuff. I can go anywhere from that to the heavier stuff. Gojira, I love them. The drumming is amazing. ANTIHERO: Music still fires you up? Deen Castronovo: Yeah, oh yeah. Totally. Great driving music. The faster it is, the better it is to drive. ANTIHERO: Best feeling in the world? Deen Castronovo: Best feeling in the world. ANTIHERO: Is it getting back to what you said with family? ANTIHERO: You have emerged stronger and learned from your past mistakes? ANTIHERO: Does it take you by surprise when you have something taken away without fully realizing that it has become a dependency and an addiction? When that reality actually hits you and you realize that actually you had become an addict and grown dependent on it? Deen Castronovo: Well you know, I was one of those “functioning addicts”. When I went on the road, I did nothing. I brought my A-Game with Journey, I didn’t screw it up at all. I made sure I was focused. So, the first thirty days of treatment, I finally cleared. After thirty days I was clear enough to retain what they were teaching for the next sixty days, which was really important. I’ve done thirty-day stints. They don’t work for me. I can’t say they don’t work, but they didn’t work for me. ANTIHERO: Is it easier at home where you’ve got that support network around you? Being out on the road and touring with a rock band will be the real test though I would imagine. Deen Castronovo: When you wake up in the morning, and again, you’re not feeling like hell and you know you can play a great show, and you’ll give the band what they need, and give the crowd what they need, and give yourself what you need. I haven’t had an issue, not saying that it ain’t gonna happen. It might be something that, but there are difficult places. And a fan wrote on Twitter and said,”we’re down in the bar come down and have a drink with us”. And I said that’s a slippery place for me as much as I’d like to I can’t be in those places. ANTIHERO: And it’s better to withdraw from those sorts of situations rather than go and try to abstain. Deen Castronovo: Yeah for me to abstain now, this is untested waters. Best thing to do is to back off. ANTIHERO: Yeah, and not put yourself in that situation. Deen Castronovo: I’ve got three years. I don’t want to screw three years up man. That means I got to start over at one again. I don’t want to feel like that again. ANTIHERO: You’re sober now and you’ve got things back on track, but the religion and personal faith, was that something you had way back and lapsed? ANTIHERO: You kind of returned to? ANTIHERO: Or is that something you just took on in later years, in recent years? Deen Castronovo: No. I became a Christian in 1986 and served God, was doing everything well and ten years of sobriety. Then I joined a certain band and started smoking pot with the leader of that band. And pretty soon I got fired from that band. So, I started doing blow with the guys at home. Real slow spiral man, real slow, and it finally caught up with me. And I’m grateful it did. I should be dead bro, I should be dead. ANTIHERO: Thankfully, for whatever reasons, you are still here. ANTIHERO: Or going down to meet the people in that bar. Deen Castronovo: Exactly. One drink won’t hurt, and one drink turns into ten bottles. ANTIHERO: So, you seem more level-headed, calmer, more positive. What really gets under your skin? Like the little things. Deen Castronovo: Honestly, I really don’t. My wife and I, we have our arguments and stuff, but I know when to shut my mouth and walk away. ANTIHERO: It’s the same. I live with someone, you know when to step away from the situation. Deen Castronovo: Yeah, and I think that’s one of the things you’ll hear. We’ll start doing stuff and I get riled up and I’m like, “truce, I’m out, truce”. ANTIHERO: That’s what I do. I walk upstairs, and she always goes, “why do you always walk away”? I said, “for me to stay it would make it worse”. Deen Castronovo: It makes it worse. That’s probably the only time I really do curse. ANTIHERO: Best piece of advice that you’ve been given? Deen Castronovo: That I’ve been given? ANTIHERO: Not even a musician, it may be something from your father, your mother, maybe something that’s stayed with you. Deen Castronovo: Follow your bliss. I don’t know who said it. It was a quote that I saw, and I think it was anonymous, but Terry Bosio said it to me and I was talking to him about Bad English. It was when I was in Bad English and we would tour with Jeff Beck, and Tony Hymus, and Bosio and [Jeff Beck’s] Guitar Shop together in Japan. And we were talking about family and kids and stuff and he goes, ” you know man just follow your bliss. Follow what makes you happy”. And I said, ” that’s cool. Where’d you get that”? He goes, ” I have no idea”. He didn’t even know, but I never forgot what he said. And that’s what I’ve done and now I’m following what I love. ANTIHERO: What about there’s this sort of scenario what would be your final meal? Deen Castronovo: Pasta Yeah, I’m full-blooded Sicilian, I’m screwed. ANTIHERO: Do you do cooking yourself? Deen Castronovo: Hot dogs and Pasta, that’s all I know how to cook. ANTIHERO: So, it’s not in your blood? Deen Castronovo: It’s not. My father could cook all day long, my wife Dede, she cooks like a banshee. I can’t cook to save my life. I know how to put in spaghetti sauce, make it taste great, that type of thing, but I’m not a cook. ANTIHERO: Who would you like to interview? Deen Castronovo: Yeah, that’s what I grew up with, my first bands were metal bands, thrash metal bands, Wild Dogs and Marty Freeman and Jason Becker. ANTIHERO: Did you play on that Wild Dogs album with the red cover, with the dog on it? Deen Castronovo: Yes. That was me yeah. I was 19. ANTIHERO: I have that one in my own personal collection. You mentioned your musical taste. Did that diversify? At least some of the music you like to play that would surprise people. Would it be a little CD where fans of your rock material would say, “whoa I didn’t expect him to have that.” Maybe from a different musical genre. Deen Castronovo: Well, I did John Canes Christian record actually. John Wayne Canes, I played on his. And I did a couple Christian records back in the eighties with a gentleman named Mathew Ward. They would be surprised to hear that, you know? ANTIHERO: You mention Jonathan Cain. The Journey connection continues… Is that door closed? I mean you somewhat appreciate you did the gig. Some of the Journey guys have supported you through the recent dark times. Have you actually reached the end of that particular musical Journey, so to speak? Deen Castronovo: No, it’s over. Smith is the rightful owner of that drum, and he’s there now and it would be pointless. You’ve got four original members now. Not just three, you’ve got four. ANTIHERO: I know there’s a lot of talk of the splitting and the internal strife particularly in the last year. Deen Castronovo: Yeah, there’s a lot of internal strife there, but you know I pray for the guys and I love each and every one of them. They gave me a chance of a lifetime, and I’m grateful that I was a part of the legacy for 17 years. That’s a huge thing for me. ANTIHERO: I’ll mention it again, but in a previous interview with you I asked you about your singing. Are you going to bring out a solo album where you sing everything? Deen Castronovo: Well, Revolution Saints is kind of what I’ve done that’s like our solo record, but I never want to do a solo project, I want to do more band. If we do anything it will be Doug and I and Jack again, something like that. I don’t think I could carry it myself. Doug and I have a chemistry, and I don’t like working with anybody that I don’t have chemistry with and I don’t know. ANTIHERO: You tend to return to people that you’ve worked with a lot previously. Deen Castronovo: I’m working with Neal again, which is great. There’s talk of him going on the road next year with that project with Marco and myself and Greg Rolie, which would be really great. That door will never close with Neal, he’s like my big brother. He discovered me, I owe him everything, I really do. ANTIHERO: That’s fair. It’s been nice doing this face to face. I say last September I think just a phone call, but this is better, thank you very much. Deen Castronovo: Awesome man, thank you so much.